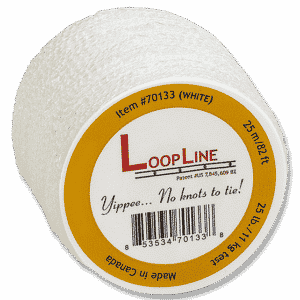 LoopLine™ is our patented, durable cord used to hang signs, banners, displays and decorations. 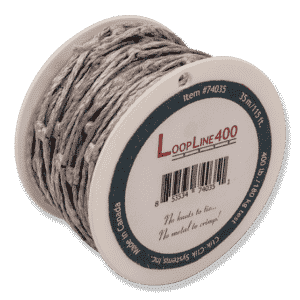 Replace hard-to-work with steel cable, metal chain, barbed string and mono-filament with this easy-to-install, reusable, time saving and cost-efficient product. The pliable cord is easily cut to any length with scissors, ending the need for expensive tools and eliminating injuries from sharp frayed metal ends. 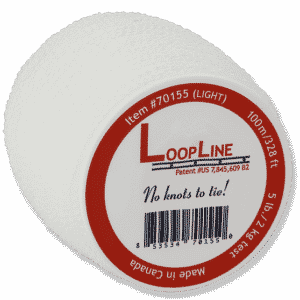 Configured with two-inch repeating loops, LoopLine makes hanging level signs quick and easy. Simply count out the same number of loops for each line and cut to desired length. Securely attach to the sign and hanging hardware by inserting the line through an opening, then pulling the line back through itself. 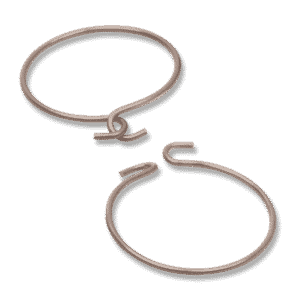 No need to tie frustrating knots or swage ferrules! And because there are no knots or ferrules to cut off when removing a sign, the identical lines can be reused for another project. 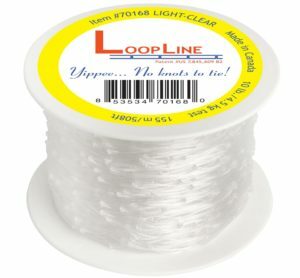 Made with synthetic polymers and infused with a UV inhibitor, LoopLine will not discolor from expose to sunlight. 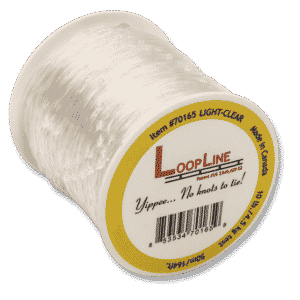 Another benefit is LoopLine will not stretch, crack, or weaken over time. 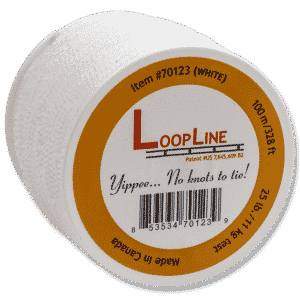 LoopLine is available in tensile strengths ranging from 5 lbs. to 400 lbs. Choose from clear, white, or black. We manufacture custom Sign Hanging Hardware Kits consisting of LoopLine™ cut to any length and your preferred ceiling connector including our ClikMagnets™, E-Z™ Twist Ceiling Clips or various Hanging Accessories. This all-in-one complete bag of hardware is convenient for installers, printer or marketing agency sign kits, retail locations or industrial manufacturing plants. Contact us to discuss solutions for your business.